It’s that time of the year! White socks turn red. 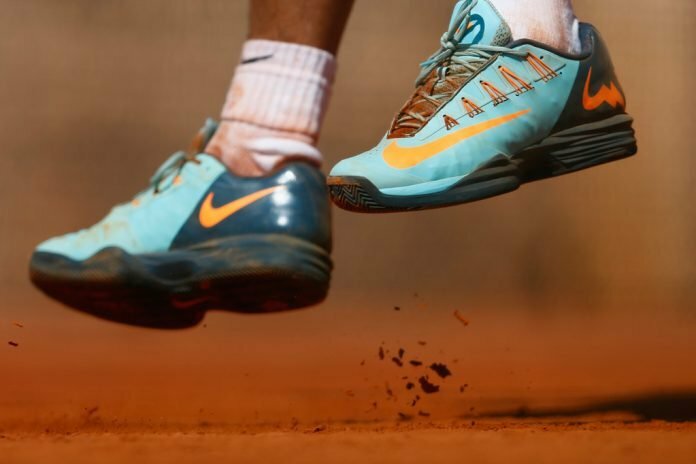 Left pockets are filled with the holy sand by the end of the day and the heavy topspin forehands dictate play. With so much happening in the last few months in Men’s Tennis, picking a clear favourite for the Roland Garros title is difficult. UNLESS you talk about the King of Clay, Rafael Nadal. A brilliant run to the Australian Open final and a spot in the final of Miami has cemented his spot as the frontrunner for the second Grand Slam of the year. That being said, he’s not the sole contender for the title. 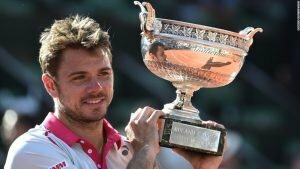 Wawrinka is a former French Open champion and has been in great form this season. One of the players that can never be termed safe is Stan Wawrinka. Time and again he has proved to be the ultimate underdog in a big match. Having won a slam in each of the last 3 years, it won’t be surprising to watch him make another final at Roland Garros. He has already reached the Semis of Australian Open and the finals of Indian Wells this year. Consistency has bothered him in the past few seasons but he looks to be a lot more focused on the task this year. Not to forget his familiarity to winning titles on Clay. 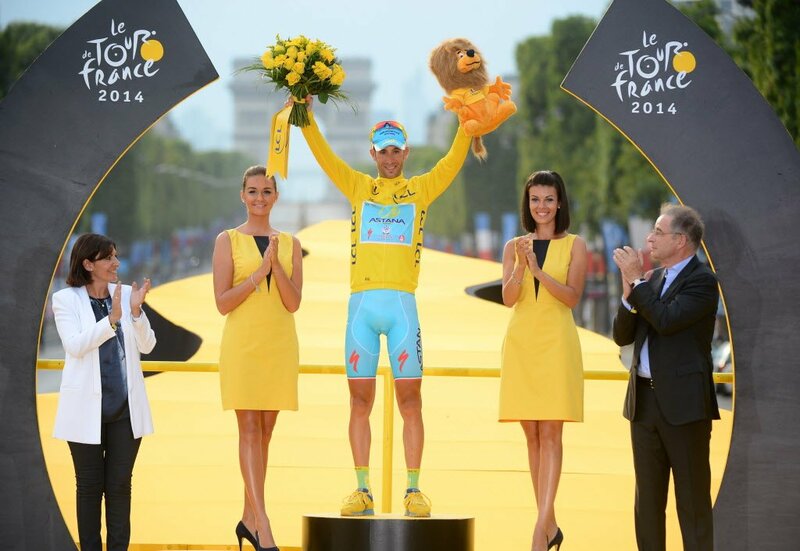 A French Open title and a win at Monte Carlo are proof of his dominance on the surface. 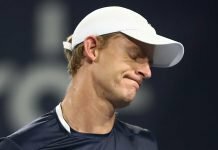 It will be premature to rule out the possibility of Murray and Djokovic making a strong comeback after their not so impressive display in the start of the season. They are still the top two ranked players in the world and will want to make maximum use of the privilege they get by being seeded 1 and 2. Can the home hero deliver? Talking about French Open is never complete without mentioning at least one Frenchman who could run home with the trophy. 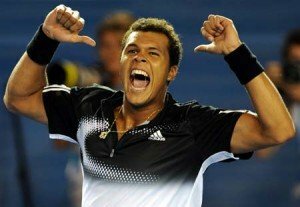 This year that player will be Jo Wilfred Tsonga. He has 2 titles to his name this year. His big forehand and innovative play can be enough to beat any player on a given day. For him to win French Open this year will be nothing less than a fairytale but is not impossible. As far as fairytales go, there is a rather long list of players who could surprise the Tennis world. Headed by the once known as Baby Fed, Grigor Dimitrov. 2017 has been rather kind to him with some brilliant performances and a noteworthy epic semi final match at the Australian Open. 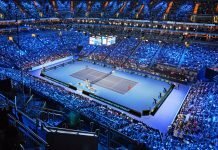 Dominic Thiem, Alexander Zverev, Kei Nishikori and Juan Martin Del Potro will all be looking to make a significant impact and hopefully get a chance at claiming the title. Federer will be a major force at French Open this year. As much as someone would like to think that that one man does not have a shot at the French Open title, everyone has to admit that right now, he can do anything. Yes I’m talking about Roger Federer. Everyone almost unanimously agrees that his decision to play only the French Open in the Clay season is a very wise move. He will walk into the tournament fresh, well prepared and oozing with confidence. 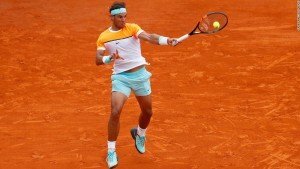 He along with Wawrinka, Djokovic and Murray make the cut for being the most probable winner of French Open after Rafa Nadal.